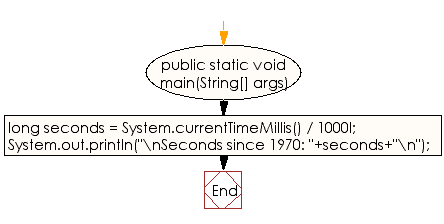 Write a Java program to get seconds since 1970. N.B. : The value may be changed accroding to your system date and time. Previous: Write a Java program to convert a unix timestamp to date in Java.